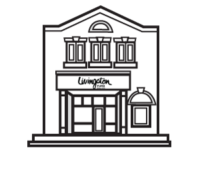 Trade-ins | Livingston Furs Ltd.
Livingston’s will sometimes be able to accept trade-ins of your older fur, on a new fur, or a shearling. There are some exceptions, but we’re happy to do so. We even take those really old furs! You won’t believe the difference in weight in our new furs or shearlings, when compared to those older furs. You’ve maintained your fur beautifully; or, perhaps you’ve inherited a garment that is important or sentimental in your family. Now you can get value for it. Show it to us, and we can show you how it can help.